My high school friends are still some of my very best friends (and I graduated from HS 24 years ago – eek! )…so, when one of my class of 2015 seniors, Emma, first texted me in April about her idea for a college shoot with her best friends, the answer was YES! These girls are so sweet and came to the session ready to have fun with each other. My guess is that these friendships will last a lifetime! 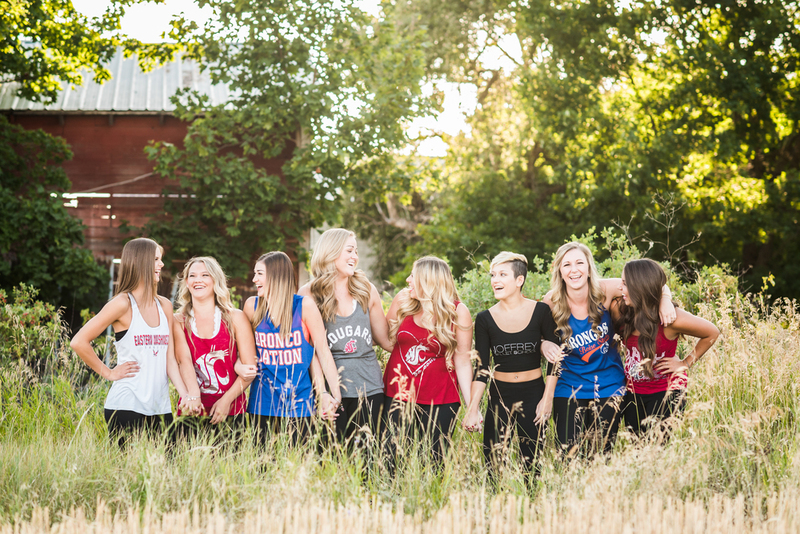 Soon they will be leaving home and chasing after their dreams – 4 are going to WSU, 2 are heading to Boise State, 1 to Eastern, and 1 to the Joffrey School of Ballet in NYC! Best of luck girls!! And...we should plan to do another session together when you all graduate from college! Fun!